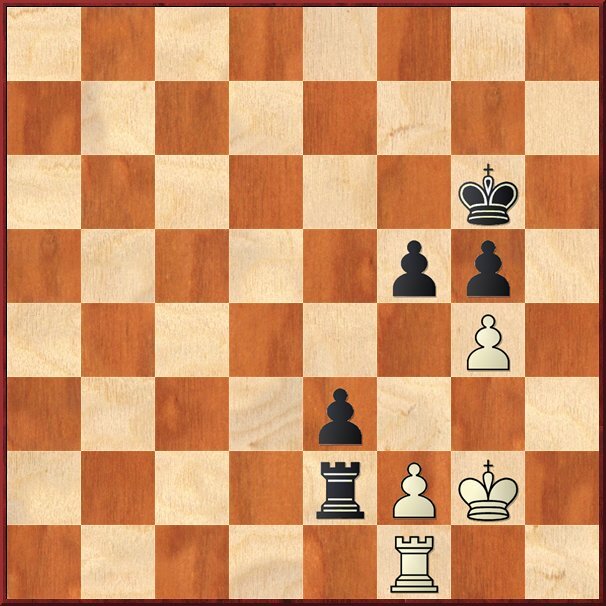 The only chance I found was to keep the rooks and give up this second pawn with 1.gxf5+ Kxf5 2.Ra1 (because everything else simply loses, I thought..) For example 2.-exf2 3.Ra5+ Kg6 4.Ra4 and I see no progress... But what about 2.-Rxf2+ .. I am not sure this is a draw.. 3.Kg3 and I guess there will always be annoying checks for Black when he tries to do something.. Maybe Black wins somehow anyway.. This was the best I could do! My idea was to play 1.gxf5+ Kxf5 2.Kg3, and then after 2..Rxf2 3.Ra1. I think it should be draw. a) 3...Rf4 4.Ra5+ Ke4 5.Ra4+ Kd5 (5...Kd3 6.Ra3+ Kd2 7.Ra2+ etc.) 6.Ra5+ Kc4 and now easiest is 7.Ra3!? because 7...Re4 8.Kf3! draws. b) 3...Rd2 4.Kf3! 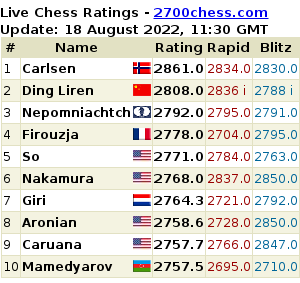 e2 5.Ra5+ Kg6 (5...Ke6 6.Kf2=) 6.Re5 Kh5 7.Kg3 and Black can't make progress.